Google had announced its new Android version. So in this article, I am going to tell you about some of the new features of Android 8.0. Google has revealed the next version of Android, version 8.0 that is called Android "Oreo". What's new in Android 8.0 Oreo? Firstly, Oreo has a number of background changes such as background limits for apps to improve battery life, Bluetooth audio improvements, Google Play Protect to help in improving security and other important changes in system behavior for apps built for Oreo. Android Oreo will also speed up smartphone's boot process fastly, a much better Autofill implementation, and also better support of Android Instant Apps. There are also some user-facing improvements such as adaptive notification dots, wider support for picture-in-picture mode, over 60 new emoji, a new look for media notifications and the quick settings menu, a redesigned settings menu, adaptive icons, notification channels, and, of course, the Octopus Easter egg. There are no major visual changes between Android Nougat and Android Oreo. But the changes are that improve consistency and usability. Some improvements are made to Android 8.0 to look better. The Settings menu is the obvious place to start with. As compared to previous versions in Android O has shorter settings menu. The Settings menu in Oreo has been greatly reduced in size, with a lot more nesting of options under larger categories. Google also lightening the UI that can be felt in Quick Settings and notification area. Persistent notifications, Adaptive icons, also Oreo no longer has a default maximum and finally, Android Easter Egg and emoji are some more features that made Oreo better looking Android version. Android 8.0 is also more about assuming control than any previous version of Android. Whether it’s Google putting the brakes on rampant resource-hungry app processes or users having more power to limit what apps can access and how notifications are handled, Oreo has it in droves. New in Oreo is the ability to snooze notifications.Benefiting from notification channels is a gradual process - start with the defaults and limit particular notification types as they annoy you. Each notification channel gives you three basic choices: disable it entirely, take it as is, or fine-tune it the way you like.Picture-in-Picture mode (PiP) is also a great feature of Android Oreo. Android 8.0 is the smartest of all Android version. It is benefited by Google Assistant and all the stuff that Google has done in past years. There are a few smart things done with Android Oreo. High-performance Bluetooth Audio and Bluetooth 5 support are great features that took the attention of Android masses. Especially, High-performance Bluetooth audio was one of the first Oreo features to capture the attention of the Android masses. Bluetooth 5 is also a well-publicized feature of Android Oreo. It also includes a new multi-display mode, more integration of Android Instant Apps, also Downloadable fonts, disk space limits for cached data, Mouse pointer capture and lots more such features are available in Android Oreo. Will your phone get the Android Oreo update? Well, that's a question? But Google says Android 8.0 will begin rolling out in all Pixel as well Nexus devices. If you are a part of Android Beta Program then your device will automatically be updated to stable Android Version 8.0 Oreo. Google also notes that it’s been working with partners, and by the end of 2017, companies including Huawei, HTC, Essential, General Mobile, HMD Global, Kyocera, LG, Motorola, Samsung, Sharp, and Sony are all scheduled to launch or upgrade devices to Android Oreo. Hope you get lots of information about Android Oreo. There are lots of features that embedded in it. But it is true that it's the smartest, better looking and more controllable Android version. Hope you like it. Hope you get lots of information about Android Oreo. 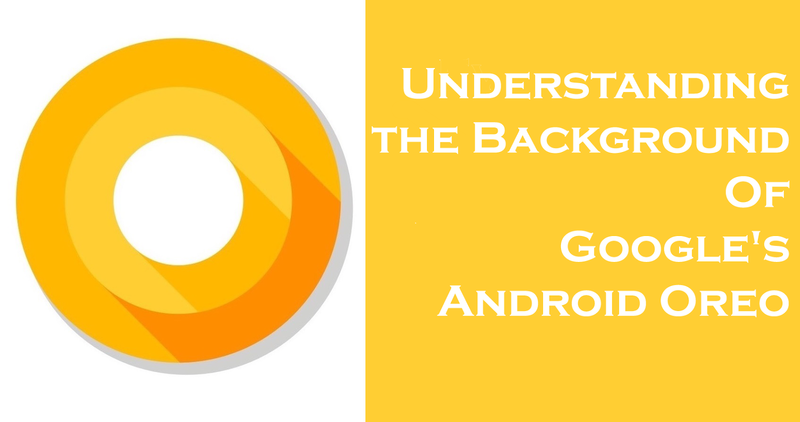 There are lots more features that are available in Android O. But it is true that it’s the smartest, better looking and more controllable Android version. Hope you like it.